MOSCOW, June 23. /TASS/. Russian Ambassador in London, Alexander Yakovenko, sent a letter to Prince Charles on Friday over a visit to Salisbury made by the Prince and his spouse, Camilla Duchess of Cornwall made earlier on Thursday. Their Royal Highnesses made a fact-finding tour to Salisbury to get familiarized with successes in the program for bringing life there back to normal after the March 4 alleged poisoning of the former Russian intelligence office and British spy Sergei Skripal and his daughter Yulia. He said the Russian side had not received a single answer to its questions from the Foreign Office and had not given Russian consular officers any access to the Skripals. 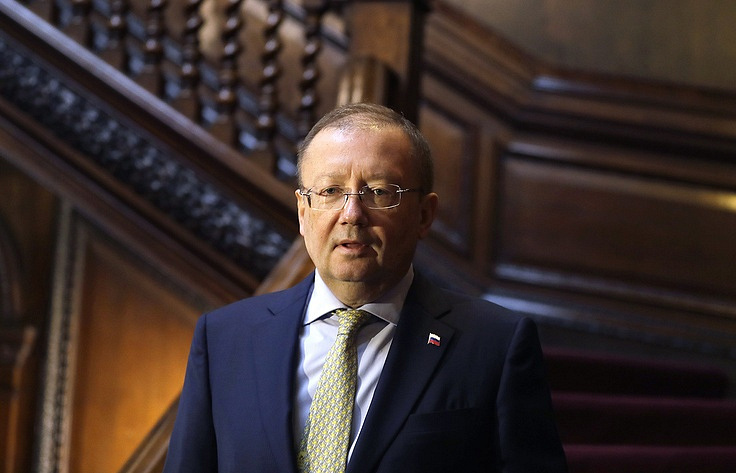 Yakovenko expressed the hope the UK authorities would not uphold their current position endlessly and would eventually give the Russian diplomats access to Yulia Skripal, who is a Russian citizen. The sooner it happens, the better, he added. On March 4, 2018, Sergei Skripal, 66, and his daughter Yulia, 33, got exposed to an alleged use of a poisonous chemical agent, which London claimed later was one of a class provisionally called Novichok. The British authorities mounted an impressive media campaign, claiming Novichok had been developed in Russia. On the basis of the claims, they charged Moscow with involvement in the Salisbury incident. Russia has strongly denied any accusations and claims against it, saying programs for developing the agents like the one presumably used in Salisbury had never existed either in the USSR before August 1991 or afterwards. Without producing any verifiable evidence, London ordered expulsion of 23 Russian diplomats and launched a sequence of other anti-Russian measures. Russia expelled a symmetric number of British diplomats, closed down the British Consulate General in St Petersburg and cut short the operations of the British Council on the Russian territory.